I used to be a contender. I could have taken that KOM. I was quicker goddammit and now look at me. Pathetic. Slow with a tailwind, the merest incline induces a series of huffing and puffing and effing and blinding. Strava automatically marks my rides as private as a sign of a respect to my former self. Inner chimp has become inner chump. Yep, I’m most definitely outta shape. Empty legs, head and heart. The unthinkable has happened. I’ve fallen out of love with cycling. Say what now? Surely not? The urge long lost, denial initially fuelled more riding. Perhaps I’ll just blast through it, I thought, kidding nobody. This lasted for two months before THAT ride. Year end comes early for this cyclist. Autumn. Form falls faster than the leaves abandoning the trees. A failed hill climb season peters out and this cyclist has all but quit. Hibernation time. I’ve been ‘on it’, truly on it, since January. Nine months of riding hard. Every week the same as the last. A turbo session or two, a couple of hard club rides, daily commutes interspersed with monthly trips to the likes of Belgium and the Dolomites. Not forgetting the early season base miles, from absolutely brutal C2C ride in atrocious weather, to the jaunt to the Peak District when my legs fell off. Oh and ten straight weeks of metric century rides every weekend during the base mile munching months. Nuts. Yet adventures past are quickly forgotten once you begin to slow. Decline is inevitable yet still surprises and frustrates each time. This year I peaked at the end of July, just when I should have been building for hill climb season. Bah. Physically and mentally I could take no more. The ‘season’ was over, not that I could admit that to myself. Denial. At first you think it’s simply a bad ride. And then another. And another. Interval sessions become impossible and you barely complete the warm up. The thought of riding becomes as appetising as going to work. Each time you go for a spin, you do so with the speeds and achievements of days gone by in your head, impossible targets since your body is now in decline. Frustration makes you ride like an idiot in a vain pursuit of previous peaks. You fail, plundering the last of your energy reserves in the process and preventing any hopes of recovery. Everything about every ride is difficult. The cold. You’re always cold. Every road surface so jarring it’s like riding on the moon. Even the cake stop brings no joy, all this talk of cycling, get a life people! Mentally you’re long gone. Riding is boring, a chore. Somebody mentions a ride and you splutter ready made excuses​ about your broken eyelash. Come on they say, it’s only 40 miles. Ugh. What previously would have been a quick spin now sounds very, very far when the walk to the bike shed is beyond your limits. An existential crisis kicks in. Who am I? What is life without cycling? Lycra gone, you’re Clarke Kent bumbling about not superman flying through quiet country lanes. You take a break but this only adds to your declining powers. What happened? I love cycling, I’ve done my time, this isn’t supposed to happen, not to me. How to fill all this spare time? 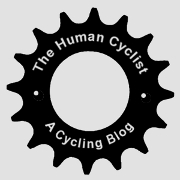 Don’t want to write about cycling, or read about riding, or talk about it, or watch it on TV. Yes, you were that obsessive. We are defined by what we do. So now what? Without realising it you become normal again, not one of them mad cyclists. The thought of a turbo ride is akin to torture. You rediscover the taste of chips and booze. You remember what it is to be social, to be drunk and inevitably hungover, but hey that’s fine, you’re not riding today. The only Lycra you wear is for fancy dress parties, the only bananas you eat are flambéed with rum and served in pancakes. Sure, you’re still drinking electrolytes, they’re great for hangovers. No longer do you open Strava daily. Oh no. Better not look at all those buggers enjoying rides whilst you’re sat on the couch in your underwear drinking a beer. It’s almost lunch time. Game over. You feel guilty every time you walk past your bike. You’ve got the bike blues and need a break. How long, you cannot say. You’ll know when it’s time to return, when the legs and head are rested, you know, when you’re really, really, really slow. I’m already eating the mince pies! Ha ha, I think you’re onto something! That’s it! That is exactly how I feel…every year. And then I start again. Great read. Ooh, been there with this one and big time too. Lost the “desire” to golf, fly fish and cycle. Have now left 3 cycling clubs and have done nothing for 2 yrs. Put on 3 stone in weight. I have 5 bikes doing nothing in the garage along with fishing tackle and golf paraphernalia. Sorry, I tell a lie, I set up the turbo in a spare bedroom with a bike already to go, drink, towel and CD player, Still there, never been used in 2 years, do these sports drinks go off? If I golfed it had to be perfect, no bad shots for me, I had to catch fish, no dry nets for me and cycling the same, either distance, time or hills to be completed. I would plan a hill route, 7 tough hills in Cornwall over a 70 mile stretch. The night before I would lay awake worrying if I could complete it??????? Its only me doing it, so what if I fail, but no, has to be done. I entered the Mid Devon hill climbs, Haytor and then Widdecombe, driving there I had a panic attack about failure to complete them, turned around and came home. And this is supposed to be fun. I saw someone about this and we now believe its because I turn everything into “work”. I must do this, I have to do that, I must achieve this target today,, etc. Instead of just getting on the bike, leave Garmin at home and go for a ride. Only 10 mile? so what, only 40 mins? so what, no hills? good. Cast the fly into the water, sit down and let the world go bye. Hit the first shot on the first hole and then think how good a pint after, will taste, rather than your shots. Take a break for a couple of weeks and then just go for a ride, aimlessly, no target, not even any true idea of where to go, just ride and come home. But dont leave it too long as I did. Ha, love the thought of your turbo gathering dust, a forgotten relic of a bygone era. Two years. Wow. That is definitely the bike blues. You’re right about turning hobbies into work. Christ, I even have a spreadsheet. This becomes routine which if you’re not careful you get sucked into, mindlessly going through the motions rather than enjoying your free time. I see all the sports you tried were not team sports, where it’s easier to fall into the trap of competing against yourself. A tireless battle we can never win. Golf particularly, I used to play too. So frustrating, more so when you begin to play regularly and hit a certain level. I guess that’s part of the problem too. Picking up a new sport is both novel and also easy to progress. The more we advance, the more difficult it becomes to attain the next level up and so satisfaction dips. I’m definitely taking a break and enjoying it too. I’ll be back on the bike before long no doubt, but as you say, I’ll be taking things a little easier on myself. I got down to a 3 h’cap, but everything had to be perfection, cycling got to be the same. If I was in a hill climb against Chris Froome, I would have to win, I am 60 for God’s sake, so a futile exercise, but thats my mindset. Write down all the things you enjoy doing, cycling, reading, the pub, cooking etc. Everything. Next draw a star, similar to your gear sprocket, with as many points as there are things you enjoy. The bottom of each point is no 1 and the top is No 10, at the top write one of the things you enjoy doing. Now on a scale of 1 – 10, how often do you do each thing you enjoy? and put a dot somewhere up the point on that scale, so 1 is not at all and 10 is everyday. Next join up the dots and to be in harmony you should see a perfect circle all around No 5. I’m liking this Chris, some much needed free therapy! I’ll give it a go this weekend. Hope you’re finding some balance in life again. Good read… I call this the dark side of cycling. We all fall from it at a point. I use a modified J.Friel season planning to keep me interested (I live in a place where I can ride all year). I have to do this, I love riding and it keeps my health in order and away from bad, bad habits…. I was following a modified Friel plan too, two peaks but on reflection this should have been three. I’m a binger too. It’s glorious until you find the next thing and move on. We’re like locusts consuming all in our path! Spot on. Normally at this time of year I think “maybe I’ll start running instead”. Bad idea. Ha ha, that made me chuckle. I had a similar thought a few weeks back, I can only imagine the pain of that first run. Ouch. I’ll stick to the sofa! Interesting. I have taken a iron tablets in the past after a blood test showed a lack of iron, back when I was training for a marathon. Will check out the tonic, I’m intrigued. Thanks Jeff. Great piece, exactly how I often feel, and very interesting reading the comments. Cycling encourages the terminally obsessive, and Strava etc only encourages this. I too tend to go overboard with a hobby to the exclusion of all else. Then I go off it, usually after the acquisition of some ultimate gizmo to do with it. My theory is that the early stages of a hobby are met with instant gratification as goals are quickly met, targets exceeded, and it feels good. Then as time goes on, this curve flattens and it becomes harder to meet new goals, so over-doing it beckons, and enthusiasm starts to ebb. “Ah, what I really need is a new bike/guitar/power meter” etc. This helps, briefly, but then the lack of achievement still exists and this is then combined with the frustration and guilt of not being able to really do any better with the new gadget. Now I’m starting to accept that things ebb and flow, and that it is inevitably impossible to make new highs all the time. Most importantly, it is possible to enjoy things for their own sake, rather than comparing with previous efforts or goals. We need to learn to pick our battles. I definitely subscribe to that theory. I think it’s an innate human desire to want progress, or at least the perception of progress. Enjoying things for their own sake should be easier with cycling. Touring for example, and enjoying the world around us, always changing. Yet still we strive to be quicker! Right, I’m off to buy a powermeter! That’s me right now too. A house move and a convenient excuse that my kit is still scrattered in a dozen random boxes makes it easy for me to duck the last of the warmish weather and I’ve barely been out in weeks. My waistline is testament to the fact that this will not end well. Here’s to getting back on the saddle. Sometime. I’ve been off the bike three+ months due to blood clots in the lungs. Nearly killed me – almost passed out after walking just 100m from my front door on the way to work. This after completing the Mont 24hr in my mid-50s in March and having a hoot of a time with a bunch of guys 15-30 years younger than me. I hear you on the motivation – when much of your training is necessarily done solo because everyone else your age has lost motivation, the loneliness gets demotivating too. But now I’m looking forward to getting doctor’s approval to start climbing hills again and catching up with mates on rides. Long rides. In the hills. Bring on the hurt box. Sounds like you’ve had a tough few months John, fingers crossed for doctor sign off. I joined a club a year or so ago, that has really helped add some variety to rides, I’m heading out today in fact, just a social ride, easy pace, lovely weather, cafe stop. Ah yes, cycling with no targets but just for fun. Bring it on! Good luck, hopefully you’ll be back doing more amazing things on the bike soon.